The mission of iPresas, a technology-based spin-off company of the Universitat Politècnica de València (UPV), is to provide solutions to support flood risk management and integrated safety and security of dams and other infrastructures. 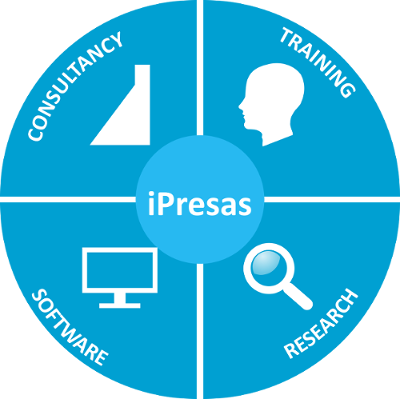 This technical support provided by iPresas is based on the development of methodologies and tools for the application of risk analysis techniques to disaster risk management and risk analysis for dams and other infrastructures. iPresas’ team, with a experience of more than 20 years in dam safety and flood risk management, has developed an innovative methodology for calculating and analysing risks, providing great added value to inform decision-making on safety investments. The main asset of iPresas is its extensive know-how in the field of dam safety and natural hazards risk analysis. This know-how has been acquired, used and extended through several research projects and professional applications in Spain and around the world.